(Huntsville AL, August 19, 2015) Inc. magazine recently ranked Amanda Howard Real Estate No. 3252 with three-year sales growth of 104% on its 34th annual Inc. 5000, an exclusive ranking of the nation’s fastest-growing private companies. The list represents the most comprehensive look at the most important segment of the economy—America’s independent entrepreneurs. Companies such as Yelp, Pandora, Timberland, Dell, Domino’s Pizza, LinkedIn and many other well-known names gained early exposure as members of the Inc. 5000. Huntsville led the state with 18 Inc. 5000 companies, followed closely behind by Birmingham, which has 15. The list is ranked according to percentage revenue growth comparing 2011 to 2014. “I’m absolutely blown away at how much our Team has flourished since opening our doors as an independent company back in November of 2009. This is the first year we’ve made the list and I’m confident that with the dedication our Team has shown to our clients and our community, it won’t be the last!” said Amanda Howard, Founder and CEO of Amanda Howard Real Estate. 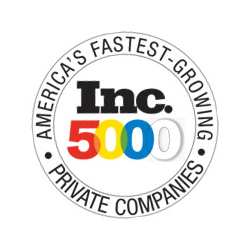 The 2015 Inc. 5000, unveiled online at Inc.com and with the top 500 companies featured in the September issue of Inc. (available on newsstands August 18 to September 22) is the most competitive crop in the list’s history. The Inc. 5000’s aggregate revenue is $205 billion, generating 647,000 jobs over the past three years. Complete results of the Inc. 5000, including company profiles and an interactive database that can be sorted by industry, region, and other criteria, can be found at www.inc.com/inc5000.